As the summer continued we saw a continuation of hot and dry weather across much of the Prairies and parts of the U.S. central growing region, not to mention other parts of the world like Australia, the EU, Russia and South America. This raised concerns of potentially tightened world supplies which pushed market values back up to the previous year’s highs. Are we near a top again? Are we going to see the markets run higher or turn lower? Let’s look at what is making the markets move. There is potential for trade issues to be a long-term event, but recent reports that China and the U.S. are going to meet to try to resolve their trade dispute could put an end to the tariffs soon, which would certainly bring calm back into the markets. This would be positive for U.S. soybean prices as it would bring back the U.S.’s No. 1 customer and help support U.S. bean futures and returns to U.S. farmers who have been feeling the hit from a price drop since China announced retaliatory tariffs on bean imports. This should also help support canola futures on the Prairies. If there is no resolution, we’ll likely see a fundamental shift in the world bean trade. China may turn to South America to source its needs, driving U.S. prices lower. This would bring other buyers to the table to purchase U.S. beans, but low prices would cause U.S. producers to turn to other, more profitable crops, creating an over-supply of other crops, and lowering their prices. The ripple effects of a long-lasting trade dispute between the U.S. and China would not be good for U.S. grain producers. Futures markets will be negatively impacted which impacts net returns to producers in the U.S. and Canada. The one thing shielding Canadian producers from feeling the full impact of trade disputes is the low Canadian dollar. But will this last? Canada’s economy is showing some growth and the Bank of Canada has not been afraid to raise interest rates to try to stabilize and manage that growth. Predictions are that we will see another one or two rate hikes in 2018, which should increase the value of the Canadian dollar. If it plays out this way, Canadian farmers will likely see a tightening of profitability on grain revenues, but also a gain in their buying power as the currency rises. Which will have the greater impact, a drop in profits or the gain in buying power, is hard to say. But with the U.S. tariffs on steel and aluminum we are seeing prices for anything made of metal rising by 30 per cent, so I suspect the rise in the Canadian dollar and the increase in buying power will not come close to offsetting the increase in equipment costs. A number of key growing regions around the world are facing drought-like conditions and heat stress. That will impact this year’s production. Germany and other parts of the EU, parts of the Baltic Region, Australia, Canada, the U.S. and parts of South America are all experiencing severe dryness in parts of their grain growing regions this year. Damage has been done and the expectations are for lower-than-average yields, which is helping push grain prices higher. Once harvest is done we will know better where markets will head. 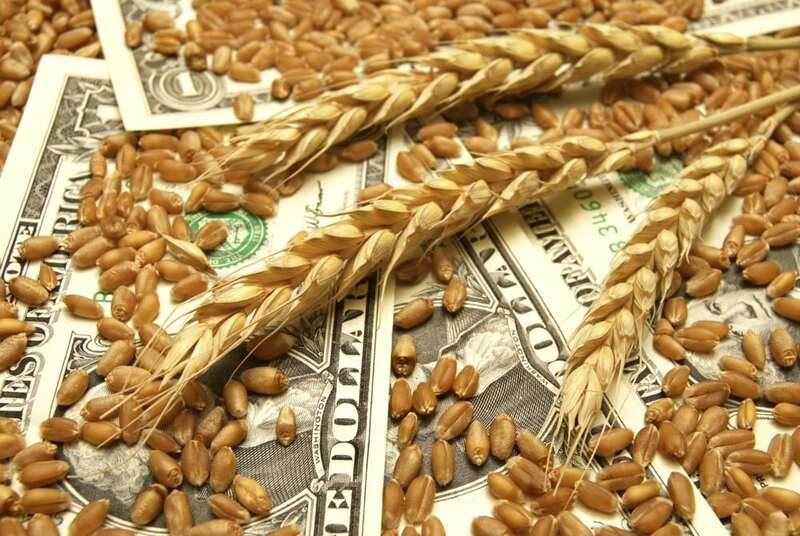 The International Grains Council is forecasting that global consumption will exceed production for the second straight year following six years of production exceeding consumption. Total stocks in the hands of major exporters (U.S., Brazil and Argentina) are forecast to be at the lowest levels in six years, which should help support grain prices. Considering all of these factors, this recent rebound in prices may have some longer-term staying power. Once harvest is finished and we can get an accurate picture of total production, markets will shift accordingly to reflect new supply and demand realities. Review your cost of production numbers, know your break evens and if you can lock in profits you can’t go wrong! Take advantage of this second-time-around scenario currently available with grain pricing.